Formed by an audition music program on TBS with Sakurazuka Yakkun on vocals, Bijomen Z is a 5-piece ‘girl band’ with 5 male members who are more beautiful than females. Their music concept is a brand new style of “Unisex Rock” and their sound is indeed one of a kind. Their first showcase live was held at the Shanghai Expo, the biggest event in China. In addition to band activities, they also participated in the Kobe Collection as models and many members are active as actors and voice actors, staying on top of the entertainment field. Their advanced digital release ranked #1 on both daily and weekly charts of Recochoku, an extremely rare case for a release prior to the official release. 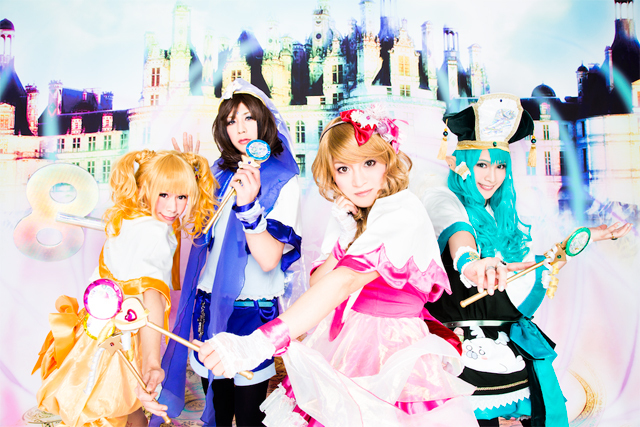 Bijomen Z will be participating in “Tokyo Crazy Kawaii Paris” which will kick off on 9/20/2013. They will continue to represent Japan’s Kawaii culture and UNISEX ROCK and reach out to the world to introduce their music and activities all around the world.